John Shors is an international bestselling author whose work has been translated into twenty-six languages. What was your overall reaction to the novel? What parts did you particularly enjoy? 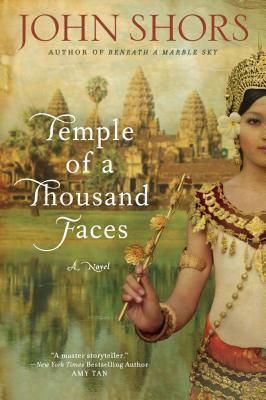 Had you heard of Angkor Wat before reading Temple of a Thousand Faces? If so, what were your original impressions of the temple and how did they change, if at all, while reading the book? Clearly John Shors tries to bring Angkor Wat and its surroundings to vivid life. Is he successful? Can you visualize the temple and the people? Discuss how Jayavar and his wife Ajadevi complement each other. What abilities do they each bring to their partnership? What character weaknesses does each possess, and how does the other compensate for them? Several of the major characters are powerfully influenced by their belief in reincarnation. Why do you think the author felt compelled to explore this belief? Who do you think is the strongest character? Who starts out weak and becomes strong? Does anyone start out strong and become weak? Discuss the villains. Do you prefer Indravarman or Po Rame? Who do you find more fearsome? More compelling? If you were Voisanne, what would you do after the death of your family? Do you think that works of historical fiction serve to make the world a smaller and perhaps a better place? Why or why not? If you could write a sequel to Temple of a Thousand Faces, what would you have happen to the characters?